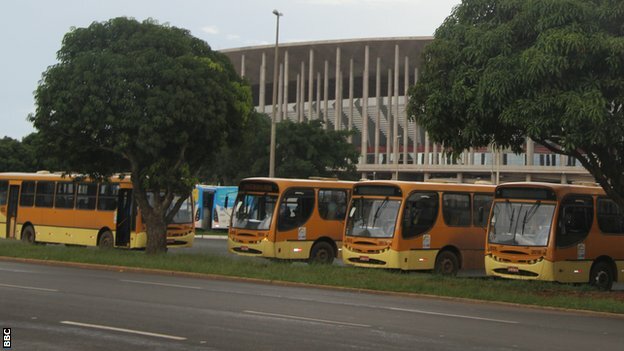 The Estadio Nacional in Brasilia, the most expensive of the stadiums, is being used as a bus parking lot. Business Insider: Brazil’s $3 billion World Cup stadiums are becoming white elephants a year later. Why? Several were built in cities that don’t even have top-rated teams. Add to that the distance to major urban areas, and the expense of holding events at those venues. The club team Atlético Mineiro plays its games at the old Independencia stadium in Belo Horizonte — it can’t make money playing at the new Estádio Mineirão because of its contract with the stadium’s owners, the AP reports. Many – including myself – saw it coming, prior to the WC. In all, another one for Capt. Louis Renault. In other news, Brazil is ranked 60th on education in a list of 76 countries (link in Portuguese) by the Organisation for Economic Co-operation and Development (OECD). Argentina (62d), Colombia (67th) and Peru (71th) did even worse. Telegraph Sport was seeking a response from the FA on Thursday as to whether any of its officials took home a goody bag distributed by the Brazilian Football Confederation in June to commemorate this summer’s World Cup and which contained a watch bought from one of its sponsors. That’s $25,000 for your wrist. Michael Garcia, the former U.S. attorney in charge of investigating the bid process for the 2018 and 2022 World Cup, on Wednesday said he wants his report to be made public. FIFA hired Garcia in 2012 to investigate the bid process, which generated much controversy after Russia and Qatar won the voting to host the next two World Cups. Garcia delivered the report to FIFA’s ethics judge Hans-Joachim Eckert earlier this month. Qatar beat out bids from Australia, the U.S. and Japan to host the event in 2022 despite temperatures of up to 120 degrees Fahrenheit in the summer. Since that vote in 2010, Qatar has been dogged by allegations that it secured the outcome through a series of secret deals. Organizers of the Qatar bid have repeatedly denied any wrongdoing. Earlier this year, FIFA president Sepp Blatter said selecting Qatar was a mistake. Is Qatar building air-conditioned venues? Will they move the tournament to a season when the temperatures are not as high? IS QATAR THE FOREMOST SUPPORTER OF THE ISLAMIC STATE’S SUNNI JIHAD? The more we find out about them, the more delightful the hosts of the 2022 World Cup finals sound. How endearing is the way they treat their workers – dying in their dozens in death traps masquerading as work places. How refreshing their approach to those who ask questions – at least two journalists have gone missing in Doha in the past six months after attempting to investigate the working conditions of those tasked with building World Cup stadiums. How enlightened is their foreign policy – Qatar is a sizeable financial sponsor of the Islamic State thugs as they go about their business of forcefully returning Syria and Iraq to the Stone Age. What fun it is going to be playing games with them. How relaxed and carefree. And that is before we even mention women’s and gay rights. Or the heat. There is one thing, though, to be said in favour of Qatar. And it is not an insignificant virtue. At least it is not Russia. Blogging on Latin America will resume shortly. After World Cup, Brazil Asks: Was It Worth It? Russia’s the next host: Russia insists finishing stadiums not a problem, and hey, as hosts, they don’t even need to qualify. Argentina and Brazil go to the World Cup semifinals, and that has been the top story all over the hemisphere. Two former senior military officers in Argentina have been sentenced to life in prison for the murder of Bishop Enrique Angelelli in 1976 during military rule. Grief Descended on Belo Horizonte, a World Cup Host City, Following the Collapse of a Highway Overpass Video here. Four motorcycles sold in Cuba, in addition to those fifty cars. NYT editorializes with this headline, Government of Ecuador Can Sue Fugitive Bankers in U.S.
Mexico is near to completing its biggest overhaul of the telecommunications sector in more than two decades. The telecom bill is a tough blow for Mr. [Carlos] Slim. It forces mobile unit Telcel to complete calls from competing networks without charge, and establishes that domestic long-distance charges made by Telmex will be phased out starting next year. The bill also gives powers to the new enhanced regulator to set some phone rates of dominant players. Relations were broke off after President Maduro accused Panama of joining the US in an “open conspiracy” against him. Puerto Rico is moving to restructure a large slice of its debt. More trouble could be on the way. And, Mercado Libre is the eBay of Latin America. But it has a new competitor: eBay itself. Bank of New York Mellon Corp. must return a $539 million deposit from Argentina intended for restructured bondholders, a U.S. judge ruled, calling the transfer an “explosive action” that disrupted potential settlement talks with holders of defaulted debt. U.S. District Judge Thomas Griesa in New York has ruled that Argentina can’t pay holders of its restructured debt without also paying more than $1.5 billion to a group of defaulted bondholders, raising the possibility of a new default as the South American nation approaches a June 30 payment deadline. Robert Cohen, a lawyer for hedge funds holding the defaulted debt, told Griesa that Argentina “defiantly and contemptuously” violated his court orders. The Vatican has defrocked its former ambassador to the Dominican Republic, an archbishop from Poland who was accused of sexually abusing boys while he served as the pope’s representative in the Caribbean nation. The former archbishop, Jozef Wesolowski, 65, is the first papal nuncio known to have been removed from the priesthood because of accusations of child sexual abuse. Jose Manuel Mireles, one of Mexico’s main vigilante leaders battling drug cartels, is arrested for carrying unauthorised weapons, officials say. Legislation was passed to provide a mechanism to restructure the debts of Puerto Rico’s so-called public corporations. Uruguay’s president Jose Mujica blasted FIFA’s Thursday decision to fine and suspend the country’s main scorer Luis Suarez from any football activity for four months arguing the association that rules world football measures things with different rods, and since Uruguay “is a small country, it’s cheap for them”. 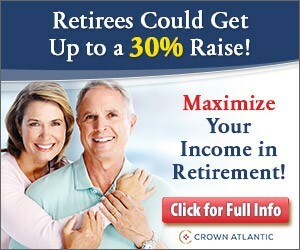 Did you know the IRS employees are unionized? “He was low-profile and used real documents to enter the country because he thought that nobody was looking for him,” said [Luiz Cravo Dorea, head of international cooperation at the Brazilian Federal Police]. Jose Diaz-Barajas, 49, was attempting to board a flight to Fortaleza, where Mexico was due to play hosts Brazil on Tuesday night, when he was arrested at Rio de Janeiro’s Tom Jobim airport on Monday. Fifa had passed on information regarding Diaz-Barajas’s ticket purchases to Brazilian police following an Interpol arrest warrant, said Luiz Cravo Dorea, head of international cooperation at the Federal Police. He entered Brazil over land from Paraguay (surprise surprise!) on June 11.